Helios, a wearable that promises to look after our health without sacrificing our style. e-Senses is the company behind Helios. Founded by Gleb Nikeschin and Marina Nikeschina, the Dutch based company has developed a smart ring that will help you find the perfect balance between sun safety and getting enough sunlight. Mimimalistic in its overall look, Helios is a multifunctional device with an equal combination of jewelry and technology. Designed by Albert-Jan van Dijk, the all around smart device has 3 coaches. One to coach you on your Vitamin D, the other on daylight and the last one on sunlight. The vitamin D coach will motivate you to consume enough vitamin D depending on your profile. The sunlight coach will show you how long you can stay outside safely by making sure that you never get a sunburn again. The daylight coach allows you to see how much daylight you need on a daily basis and how long you have to spend outside to reach that minimum amount of daylight. The three coaches ensure that you get access to your progress every day, week, month and year. 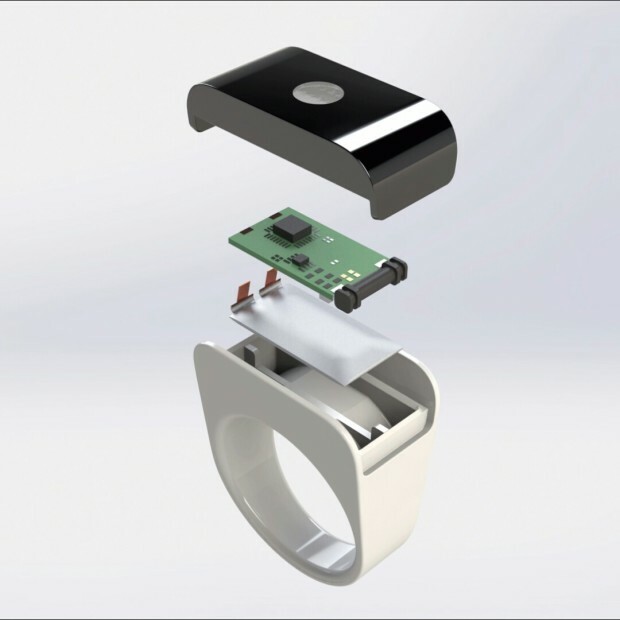 Simple, streamlined and universal, the smart ring has been developed to be as small as possible so it won’t be too intrusive. The waterproof ring is smooth, soothing smart gem made from anti-allergic, scratch free polymer material. Handsome in appearance, the ring has been created to fit perfectly around your finger and is available in 12 sizes. The biggest perk for me is the fact that the ring allows you to select your skin type. This is very important for accuracy, because as we all know, a person with fair skin requires a different level of sunlight to a person with a darker skin complexion. The ring has been designed to acknowledge the basic six different skin types and it will react differently to vitamin D and protection against UV radiation. It is this acknowledgement that confirms to me that they have taken the consumer into account when it came to the technology they developed. 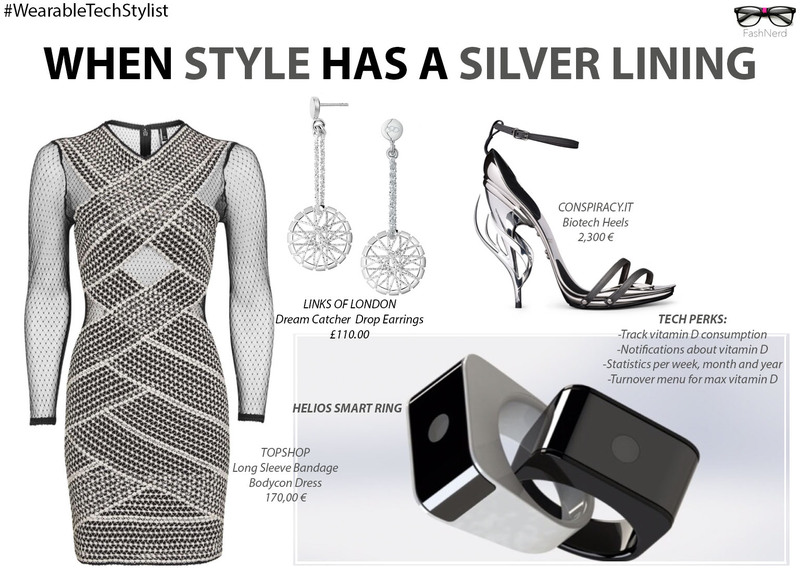 Sold on the benefits of the Helios smart ring, the next thing we needed to find out was whether we could style it with some glam garb. We are happy to say that we were able to find some pieces that worked well with the Vitamin D ring. We turned to Topshop for our dress, Links of London for our earrings and the striking biotech heels (yes, they are called biotech) are from Conspiracy.it. Going for silver, the ring seamlessly blended in with the look. The end result was proof that the Helios smart ring is the perfect device for everyday wear. Tempted to invest? If you are, you can choose from two colours- black or white- before pre-ordering the ring from $119 on Helios’ Indiegogo campaign.